Home » What's New » What is Retinoscopy? There are various assessments that you have seen at an eye exam and questioned how they work. Having a bright light shined into your eye may be an example. Firstly, this test is called a retinoscopy examination, and it’s a basic way to measure the refractive error of your eye. It sounds fascinating, but by looking at the reflection of light off your retina, your optometrist can determine if you are nearsighted, farsighted or have astigmatism. This is how they may also get a pretty good reading on the prescription you would need to correct your vision. Basically, what we are looking for during the retinoscopy exam is checking how accurately your eye can focus. When we use the retinoscope to shine light into your eye, a reddish light reflects off your retina, through your pupil. This is called the red reflex. The retinoscope measures your focal length, or in simpler words, to determine the precise angle at which light refracts off your retina. And this is what tells us how well your eye is able to focus. If it becomes obvious that you can’t focus correctly, we hold up different prescription lenses in front of your eye to see which one rectifies your vision. 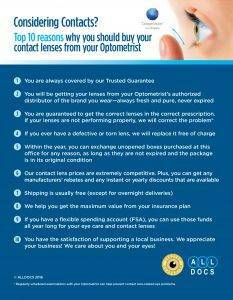 That lens power is the prescription you require to rectify your sight with glasses or contact lenses. Your retinoscopy exam is conducted in a darkened room. You will usually be instructed to look at an object behind the doctor. This makes eyes easier to examine. The exam doesn’t include eye charts, which means that a retinoscopy exam is also a very good way to accurately determine the prescriptions of the speech-impaired, or young children.